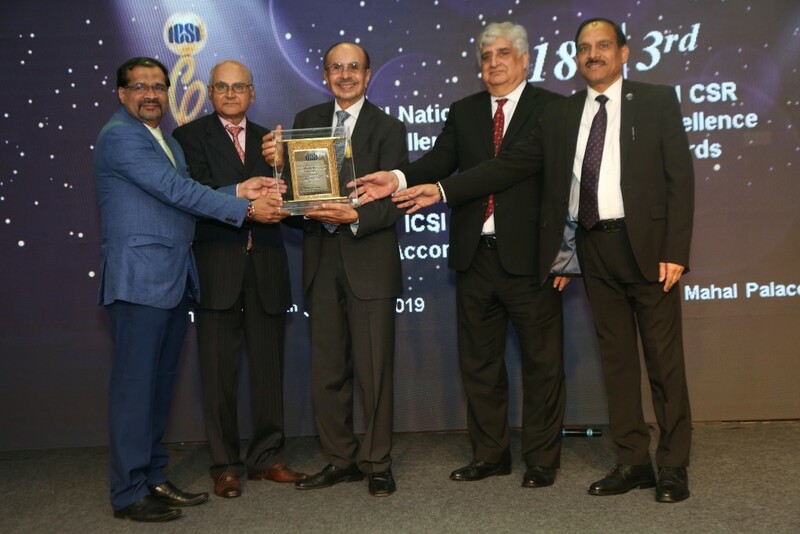 Mumbai, Jan 11, 2019 (Issuewire.com) – The 18th ICSI National Awards for Excellence in Corporate Governance & 3rd ICSI CSR Excellence Awards were presented to Best Governed Companies and Best companies in CSR excellence at a glittering Awards ceremony organized by The Institute of Company Secretaries of India (ICSI) at Mumbai today. The event also marked the Accomplishment of ICSI Golden Jubilee Year. Shri Suresh Prabhu, Honble Minister for Commerce & Industry and Civil Aviation through a video message congratulated the Institute of Company Secretaries of India for organising 18th ICSI National Awards for Excellence in Corporate Governance and 3rd ICSI CSR Excellence Awards. He said that ICSI will ensure that corporate entity in India are conferring to the global Standards as well as inspire the confidence of Global Community. He further added that Corporate Governance is as important as Public Governance and in fact sometimes it is more important. Corporates will play a big role in shaping Indias Economy, society and Country as well. Role of Company Secretaries is very important in making corporates most reliable, confidence inspiring entities which will confer to Global Standards. He wished that the Company Secretaries will continue to perform their duties in the manner which will make this profession the most sought after profession in this world. While addressing the august gathering, Dr. Mohan Kaul, President, India Professionals Forum, United Kingdom, said that Professionals in India have an important role to play in defining the contours of a winning partnership between India and the UK. With revolutions of the likes of GST occurring on the Indian mainland, it seems pertinent that the professionals globally look towards India for collaborations across different sectors and when they do so, it is the Company Secretaries who should come to the forefront and assist in the realisation and materialisation of such collaborations. .
CS Makarand Lele , President, ICSI delivered the welcome address, and said that, ICSI being one of the first professional bodies in India to initiate discussion on Corporate Governance in the light of Cadbury Committee Report took upon itself the task of promoting Good Governance in Corporate India by taking a number of initiatives in this direction. One of the important initiatives of the Institute to promote good corporate governance is the ICSI National Award for Excellence in Corporate Governance which was instituted in the year 2001 to promote good governance practices among the corporate and to recognize those Companies worthy of being exemplified. He further emphasised on the expanding horizons of the efforts of the Institute at a global level and the need to take up the task of promoting best governance practices with full fervour and zeal. CS Ashok Kumar Dixit, Officiating Secretary, The ICSI, delivered the vote of thanks and informed that, The Accomplishment Ceremony of the Golden Jubilee Year is a significant evidence of the untiring efforts of the Institute of Company Secretaries of India of its committed to promote good corporate governance.